The online space is important for competitive business advantage so you’ll want your startup business website to consistently get included in a search engine’s top ten results so that your potential customers can more easily find you online. One of the ways you can accomplish that is through link building. 1. Link building can drive potential traffic and turn it into customers. Any of your potential customers wouldn’t know about the existence of your startup business right off the bat. They’ll more likely find out about you after stumbling upon and clicking on a link to a page in your website that a high-authority one had used as part of their content. Once they follow the said link, they’ll then start exploring your site and what your business has to offer to them. You’ll have to make sure of course that your entire site and not just the page linked by a different one is interesting enough to warrant more than a cursory visit. So how can you successfully convert your website’s visitors into customers of your startup business? Enhance your website’s loading time. Visitors to your website can’t afford to wait for too long before it successfully loads itself for them to see. Otherwise, they’ll perceive following the link to your site that they saw from someone else’s content as an utter waste of time. Simplify the look of your website. Don’t aim to add too many bells and whistles in it unless needed, but don’t settle for a barebones design either. Decrease the size of all images on your website without sacrificing their quality. Set up your website for caching wherein visitors can store all of its elements in their computer or mobile device’s temporary storage for faster loading in case their Internet connection slows down to a crawl. Make your website homepage catchy and inviting. Showcase what your startup business has to offer on your website homepage top half. Consider using a carousel, especially if you have several products or services. Use a complementary color scheme. Don’t combine two or more colors in your website homepage that clash. Utilize a legible font. Don’t go for an ornate typeface if even you can’t read anything you’ll type using it. 2. Link building can get you closer to top players in your chosen niche. A website might use a relevant page from yours for their content without having to inform you in advance about it. However, that can very rarely occur, especially for startup businesses like yours. More often than not, you’ll find yourself reaching out via email to owners of high-authority websites who also happen to be leaders in your chosen niche. But how can you ensure that they’ll include a backlink pointing to your site in any of their content and not ignore you? Tailor-fit your outreach emails to each high-authority website you’re contacting. Templates might make writing outreach emails to high-authority website owners easier, especially if you plan to contact several of them. But when some or even all of them find out that you used the same template for the emails you sent them, don’t expect them to reply to you at all. So even if you have dozens of high-authority website owners to contact, make sure to customize every link building outreach email you’ll send them. Do your research on each high-authority website first so that you can have a clearer idea on how to talk to their owners via email as if you already know them for a while instead of sounding clueless and impersonal. Send your outreach emails at certain times when high-authority website owners can promptly reply to you. The end of a workday or an entire workweek is usually a wrong time for anyone – including you – to receive an email, especially if it requires a response in return. So make sure to send your link building outreach emails to high-authority website owners either at the beginning or middle of their workday so that they’ll have a higher chance of seeing those in their inbox. Link building can turn your startup business into a top player as well in the long run. 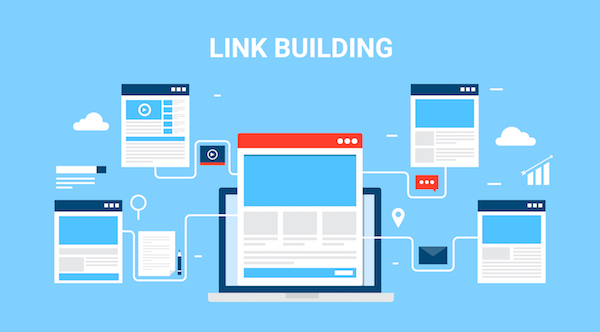 Doing link building without resorting to shady black hat tactics can eventually establish you as an authority figure who knows the ins and outs of your chosen niche. Soon enough, you’ll be able to help other newer startups build links to their respective websites same as what you’re trying to do now. Three-fourths of all Internet users don’t check search results other than those listed under page one. You’ll thus need for search engines to rank your startup’s website high enough that it would continuously appear in their first page of results. The link to any of your website’s relevant pages that a different one uses for their content – or more commonly known as a backlink – is a top contributing factor to your search engine rankings. If that isn’t enough to make you want to invest time and money into link building, then perhaps the above-listed ways that it can help your business grow should make it easier for you to do so right away.